Do you have a soundtrack to the movie of your life? Do you listen to music all day long? Not everyone shares an enthusiasm for endless music running through their heads all day. Like gently flowing water, the birds of the bush make music all day long and throughout the night. Other natural sounds join in this rhythm of the birds and to us, this symphony of sounds makes our home complete. 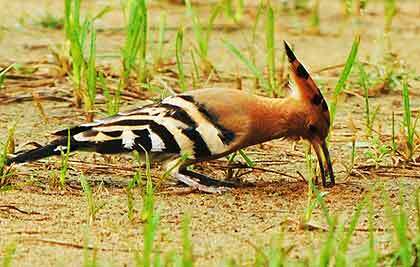 One such sound is the cry of the Hoopoe… days begin with oop-oop heard from the thorn tree, then joining in are the emerald spotted doves, bulbuls, cuckoos, orioles, pheasants, and many more, all accompanied by tree frogs, cicadas and animal calls. I’m sure you get the picture and this all starts at 4:15 in the morning, continuing until the heat of the day, when it slows down, then resuming again at dusk until bedtime. Then one day while visiting Penzance in Cornwall England, we both heard the unmistakable sound of a hoopoe mingled in the sound of traffic. The sound was so compelling that M insisted on going out on a search that ended in a dead end. That same day we decided to have some freshly cooked hake and there is no better place than the vendor at the park, who sells fresh hake and chips (French fries). 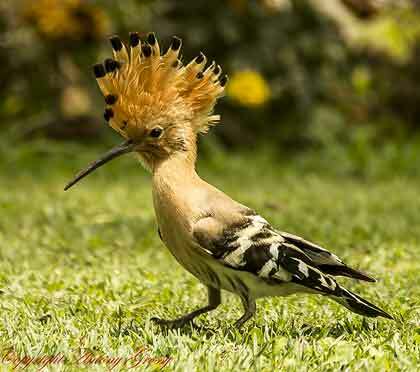 M convinced that he had heard the bird that morning, decided to ask the vendor if he knew what the hoopoe was and had he ever heard the sound that went like oop-oop, although it was actually a bird from Africa. The vendor laughed when M explained with great detail the actions of this little bird to him. His laugh was because “this little bird” lived in Penzance in some profusion and had for as long as people can remember. Strutting for his Supper. Don’t Bring That Thing Too Close! 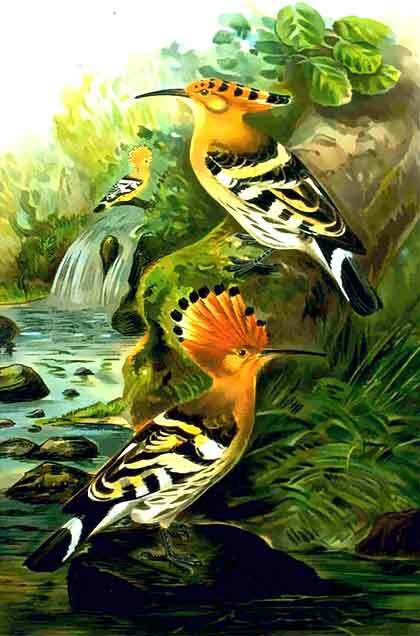 This hoopoe story did not end there but reoccurred in the Highlands of Scotland two years later in our first summer there. Well it was extremely gratifying to hear “this little bird” was not in any danger of extinction anytime soon, being scattered all over Europe and as far as India as well. Now getting back to our roots and the bush ten years later, we and they are back together and so we can share with you once again, the sights and sounds of the bush as they interact throughout our lives. 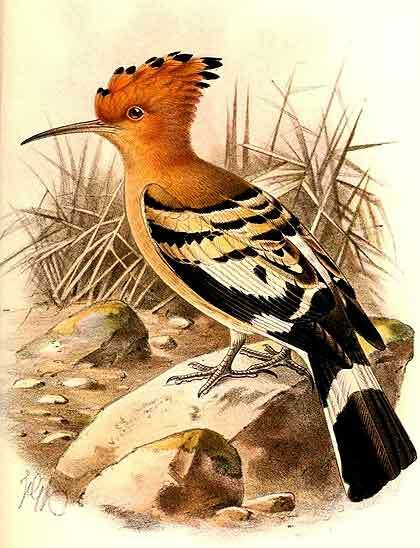 It is comforting to know that this summer, our soundtrack will once again be enhanced by the cry of the Hoopoe.